Note The receiver is not intended for use with an Xbox 360 console. 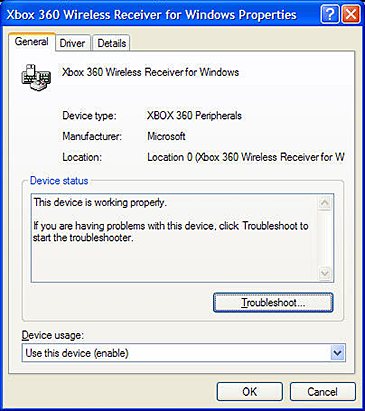 Note If you experience problems connecting the receiver, see Troubleshoot the Xbox 360 Wireless Gaming Receiver for Windows 10. If the Add New Hardware Wizard starts automatically, select Install the software automatically (Recommended), and then select Next. If the wizard installs the software successfully, click Finish and then skip to Step 3: Connect an Xbox 360 wireless accessory to your computer, below. If the wizard fails to install the software, continue with the next section. If you have the installation disc that came with your Xbox 360 Wireless Gaming Receiver, you can install the software from that disc. Insert the installation disc into the CD or DVD drive of your computer. If the Setup program does not automatically start, change to your CD or DVD drive, and then run the Setup program. Follow the steps in the wizard to install the software. Note You might be prompted to restart the computer. For example, to turn on a controller, press and hold the Guide button in the middle of the controller. If you do not know how to turn on the accessory, read the documentation for that accessory. Check for Windows 10 updates. Important The Xbox 360 Wireless Gaming Receiver for Windows is designed for use on a computer that is running Microsoft Windows XP with Service Pack 1 (SP1) or a later version of Windows, and that has a powered USB 2.0 port. Verify the USB connection. Here's how: First examine the USB connection of the Xbox 360 Wireless Gaming Receiver for Windows. Make sure that you've connected the Wireless Gaming Receiver for Windows to a powered USB 2.0 or 3.0 port on the computer. The best way to verify the connection is to unplug the Xbox 360 Wireless Gaming Receiver for Windows from the USB port, and then plug the receiver back in. If the light still doesn't illuminate, try connecting the receiver to a different USB 2.0 or 3.0 port on the computer. Verify the device driver. The following steps will help you verify that the device driver for your Xbox 360 Wireless Gaming Receiver for Windows is working correctly and that you have the latest device driver. Swipe in from the right edge of the screen, and then tap Search. Or, if you're using a mouse, point to the lower-right corner of the screen, and then click Search. To the left of the XBOX 360 Peripherals entry, locate and click the plus sign (+). 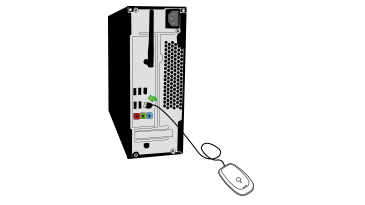 The entry should expand to show all the peripheral devices for Xbox 360 that are attached to the computer. 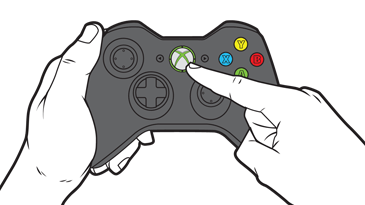 Locate and then double-click the Xbox 360 Wireless Receiver for Windows entry. The Xbox 360 Wireless Receiver for Windows Properties dialogue box opens. Verify that the following screen appears and that the Device status area displays the text, "This device is working properly". If the device does not appear in Device Manager or if the Device status area does not indicate that the device is working, verify that the software is installed correctly. See the section "Step 3: Connect an Xbox 360 wireless accessory to your computer", earlier on this page. Verify the USB port device. If you have the Xbox 360 Wireless Gaming Receiver for Windows device plugged into a USB hub together with other USB devices, it's possible that the USB hub can't provide sufficient power for all the devices that are plugged into it. Note The ports on the back of a PC are typically powered ports. The ports on the front of a PC may not be powered ports. Additionally, an external USB hub does not provide powered ports if it doesn't have its own separate power supply/AC adaptor.